The question, “What is Biblical theology?” is notoriously difficult to answer. The trouble lies with the fact that Bible scholars have used this concept to refer to completely different—sometimes completely opposite—ideas. 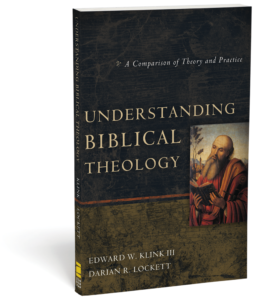 This article explores five different ways that Bible scholars use the term “Biblical theology.” These five types are outlined in Edward Klink and Darian Lockett’s Understanding Biblical Theology (Grand Rapids, MI: Zondervan, 2012). The block quotes below are from pages 22-25 and are used with permission. In addition to the descriptions of the five types from that book, this article includes three additional resources: First, a “Big Ideas” section provides the main distinctives of each type in a succinct, bulleted format. Second, each section includes a handful of authors who use “Biblical theology” in the way described. Finally, each section includes an example—the same example, in fact. It explores how a proponent of each type of Biblical Theology would frame the discussion around the Passover story recorded in the Book of Exodus. The first type is the most historical because it is strongly framed by the category of history and the task of the historian. BT1 is entirely descriptive; concern for present-day religion and meaning is intentionally kept out of sight. While theologians are concerned with “what it means,” BT1 is only concerned with “what it meant.” This approach to biblical theology desires to free itself from the anachronistic interpretations of its predecessors and to force itself to accept the hiatus between the time and ideas of the Bible and the time and ideas of the modern world. Thus, BT1 makes certain that history — the specific biblical history — is the sole, mediating category. The biblical “theology” is the theology believed by the people back then, the theology of the Bible as it existed within the time, languages, and cultures of the Bible itself; it is a purely historical and descriptive discipline. For this reason there can be no whole-Bible theology since the theology of the different authors, let alone the different Testaments, is hardly uniform or unified. To connect the OT with the NT is to do a disservice to them both, for while the NT belongs to Christians, the OT can only belong to the Jews. Only this way can the theology of the Bible be “in its own terms.” BT1 is dependent, therefore, on contemporary research done entirely by the academy (not the church), is in no way bound to the so-called biblical “canon,” and is primarily an exegetical task (discovering what the text meant). The “theology” of the confessing church, in the opinion of BT1, has already moved beyond the Bible by translating its theology into its own social-historical context. How did the Passover story contribute to Israel’s self-understanding as a nation they believed to be set apart by God? The second type is also strongly historical and is similarly framed by history and the task of the historian, but its primary category is redemptive history. 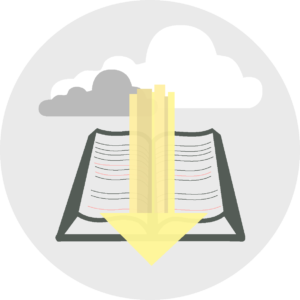 One step removed from BT1, BT2 is concerned to establish a whole-Bible theology, but similar to BT1, BT2 demands that the whole-Bible connections be made with historical resources. What holds the Bible together is still history, but a “special history” that is derived by theological criteria. The Bible reveals a History of Redemption progressing in a chronological manner. The history of redemption is visible through tracing the major themes and overarching structural ideas (e.g., covenant, kingdom, and promise and fulfillment) as they develop along a sequential and historical timeline. The biblical “theology” is only accessible through the lens of God’s (historical) progressive revelation. In this way biblical theology is theological primarily in the manner it defines and utilizes history and is supported by the various themes running through the biblical narrative that serve as the connecting fibers between the biblical parts, including the OT and NT. While the historical nature of BT2 is directly parallel to the work of the academy, the goal is a biblical theology for the church. For this reason BT2 is a strongly exegetical task with an eye to God’s unfolding purposes throughout the ages. Such a bifocal hermeneutic tends to bend between a “what it meant/what it means” hermeneutic of Scripture. This interconnected approach to biblical theology has developed into different strands rooted in different ecclesial and academic traditions. The Passover event describes God coming down to rescue his people through the shedding of the blood of a lamb. One day, Jesus would become that lamb and rescue his people through the shedding of his own blood. The third type represents the middle of the spectrum, a notoriously difficult position to nail down, and it is strongly framed by the category of narrative, which is both a literary and philosophical category. 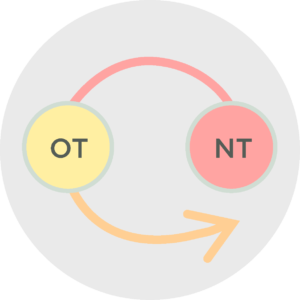 In an attempt to balance historical and theological concerns, BT3 discerns the overarching “story shape” or narrative connection between the OT and NT as constitutive of the Bible’s “theology.” Read as a continuous and interconnected narrative, this approach discerns the narrative continuity running throughout the whole Bible. Many working with this narrative structure of the Bible’s unity would not consider this approach as biblical theology per se; rather, the concerns that shape this type of reading originate from a desire to read Scripture without historical criticism functioning as the primary methodology. Like BT2, the interconnectedness of this approach lends itself to several different trajectories; yet at its center is the category of narrative, which seeks to balance literary, historical, and theological elements in Scripture. As a middle position, BT3 does not begin with front-loaded theological propositions or purely descriptive historical reconstruction, yet it uses a measure of both history and theology — under the larger category of narrative— to assist the construction of the biblical worldview-story. While its historical approach to the biblical narrative is directly parallel to the work of the academy, the guidance provided by the resources of theology has much to commend it to the church. The complexity of BT3, like any story, has numerous versions. But this approach to biblical theology offers a thick, intertextual reading of the whole Bible that serves to coalesce the diverse parts of the Bible with the whole, as well as the story of God with the story of its readers. The authors of the Gospels used the Passover story to communicate what Jesus believed about himself. Jesus believed that Passover would resonate with his hearers and carry the weight of the meaning involved in his own death. The fourth type is strongly framed by the category of canon, which is both a historical and theological category. Working hard to articulate a perspective on the relationship between biblical studies and theology, “canon” for BT4 serves to enjoin the historical meaning of the ancient text with the contemporary meaning of Christian Scripture. A canonical interpretation of Scripture assumes some operational convictions regarding the identity, character, and literary sources of revelation or truth. While a canonical approach is difficult to define and is variously applied, what is uniform is the focus on the canon’s ability to reflect the diverse uses and applications of Scripture. The canon is a path that has been traversed by many travelers, each of whom has left many footprints. The final form of the canon, therefore, is a collection of tradition “handlings,” with the final form being the last shaping of the tradition. In this way the canon preserves a collection of “tradition shapings,” which maintain fidelity to the original material and simultaneously promote the adaptation of the material for a new setting and situation. For this reason the canon itself becomes the overarching context for handling history and theology and for determining the meaning of the Bible. Such an approach allows the biblical “theology” to be both descriptive and prescriptive. Similar to BT3, BT4 contains elements of both academy and church: the academy is needed to explore the textual traditions that have been received, collected, transmitted, and shaped throughout different times, cultures, and languages; the confessing church is needed as the applied audience for whom the texts serve as their life for identity and obedience. Ultimately the canon establishes Scripture as a witness that presents the Bible’s true subject matter: the gospel of Jesus Christ. How did the authors of the Pentateuch speak about the exodus event in general and the Passover in particular? Can we see how the prophets appropriated the Passover narrative? How did the Passover event shape the Lord’s Supper narratives and how do the Passion narratives reshape our understanding of the Exodus narrative in a whole-canon context? The fifth type is strongly framed by the category of theology as it is defined and used by the confessing church. After presenting a critique of the abuses of historical criticism, BT5 positions itself within the confines of the confessing church. BT5 is associated with a growing interest in a theological interpretation of Scripture, which intentionally positions itself outside the academy’s “departmentalization” of biblical studies and systematic theology with its bifurcation between ancient text and contemporary Scripture. This leads to the conviction that the Bible properly belongs to the church, and that for Christians the Bible is their Bible, not the Bible of foreign people in a foreign time and land. For this reason the task of biblical theology is an integrated exegetical-hermeneutical discipline with overriding theological concerns, incorporating biblical scholarship into the larger enterprise of Christian theology. Such a starting point demands that the only home for such a method is the church, not the academy. 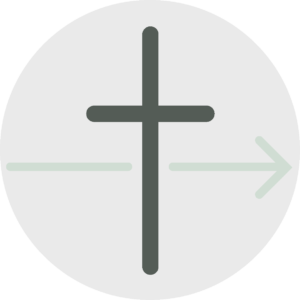 BT5 must incorporate and be ruled (e.g., the Rule of Faith) by faith commitments, that is, theological presuppositions. This is no public discussion, for biblical theology is the sole practice of the church, the confessing community. This is not to say that such a use of biblical theology is uncritical, but only to claim that the concern is not with secular models of truth, but with in-house models defined entirely by the confessing church. While this approach has a variety of nuances, the central tenet is that it requires a theological hermeneutic that leads to the formation of a “theological construct,” allowing the Bible to function as God’s Word for the church. 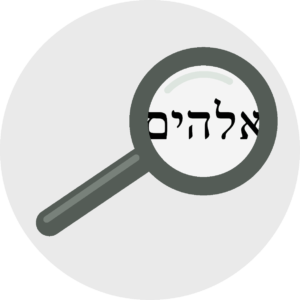 Now that we know Jesus as our Passover lamb and celebrate that during Communion, what is God disclosing about himself in the Passover text of Exodus? Content adapted from Edward Klink and Darian Lockett’s Understanding Biblical Theology.